Surprise port – for real this time! The last five months, there have been dozens of rumors about surprise ports traveling around the ship. Sardinia, Ibiza and Egypt have all been subject to gossip. Someone even said that we were having a surprise stop at a sail-through McDonalds! The thought of an actual surprise port became almost a joke to many. 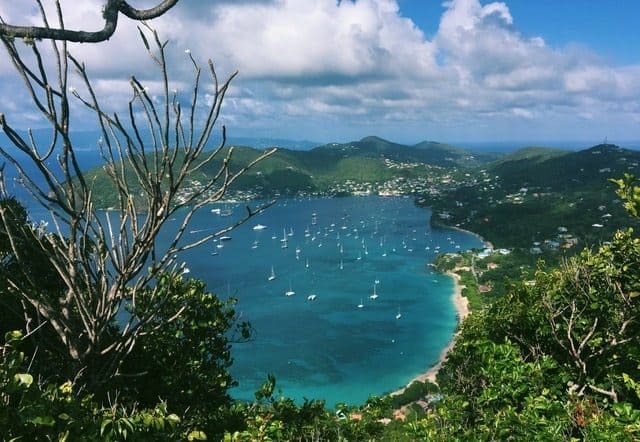 When we first heard the announcement about Bequia at colors one morning, it took me a few moments to realize what was happening. All of my shipmates were jumping with joy. We couldn’t believe it. We were having a day off, an actual surprise port, and in the Caribbean! It proved to be one of the most beautiful ports yet. 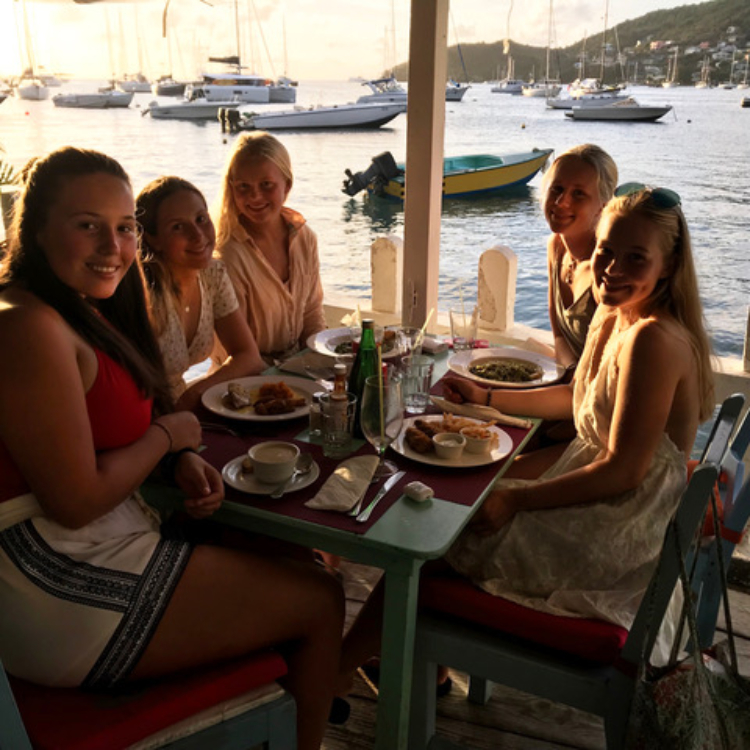 When we were sailing towards our anchor place in Bequia of St. Vincent and the Grenadines, none of the students had any idea what to expect. In front of us was a really green place, with tiny, colorful houses like splashes of paint. It was beautiful, peaceful and exciting. We got tendered in around lunchtime. My group of nine started our day with lunch at a tiny cafe. We had to wait an hour to get our food, but we’ve learned by now that everything takes some time in this kind of small island communities. After that, we took a tour around the island in an open taxi. It was almost like a safari, and the taxi had no walls, and just benches to sit on. We stopped at the Old Hegg turtle sanctuary, where we learned about how threatened some turtles are by humans hunting them. The best part was the baby turtles, of course! The tour ended on a stunning beach where we snorkeled and played volleyball until it got dark. Everyone was exhausted, but happy, when we waited at the quay for the tenders to take us back to the ship at around 8 o’ clock. A number of us was wearing our matching Bequia t-shirts with the caption «sail fast, live slow». No one could have asked for a better surprise that day, not even a sail-through McDonalds would have been better!